Today, we’ve rounded up some of the best tech deals of Amazon on a variety of gadgets. The products in this list below are from brands like Logitech, F&D and so forth. Whether you’re looking for a gamepad or an earphone, we’ve got you covered. 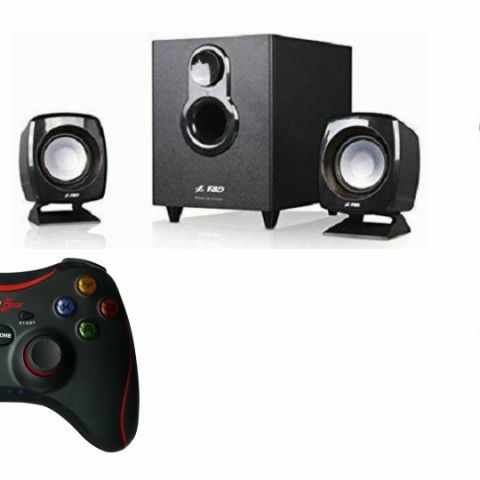 This list contains gadgets like keyboards, gamepads, speakers and more. The Redgear Pro Wireless Gamepad is compatible with Windows 7 and above. The controller connects to your PC via a nano receiver, which works up to a distance of 10m from a connected device. As per the company, the device has a battery life of up to ten hours. Click here to buy. The Logitech MK215 Wireless Keyboard and Mouse Combo feature USB 2.4GHz connectivity. The Logitech claims that the keyboard battery will last for up to two years, while the mouse battery will work for five months on a single battery. The device is compatible with Windows operating systems only. Click here to buy. The Nu Republic Nu Jaxx Wireless Earphone features a tangle-free flat cable that won’t let your wire tangle up in knots. It comes with an intelligent noise reduction feature to enhance the listening experience of users. As per the company, the earphone can last for up to five hours on a single charge. Click here to buy. The Tagg SoundGear Earphones feature a 10mm dynamic drivers and weighs around 141g. The earphone comes with an in-line microphone and remote that lets you manage tracks and calls easily. It also has a passive noise cancellation feature, which reduces the outside noise for a better listening experience. Click here to buy. The F&D 2.1 Channel Multimedia Speakers System features a 1500W power output. The system includes one 4-inch bass driver subwoofer and two 2.5-inches speakers. The device can be connected to your TV or a smartphone via an AUX cable. Users can also connect the speakers to a USB compatible devices. Click here to buy.